the world lost Whitney Houston. Whether you are a fan or not, nobody can deny the impact she made and how influential she is. Houston is one of the best-selling musicians of all time and has sold over two-million records worldwide. Houston was one of those artists keen to break barriers and fuse genres together. Her blend of R&B, Pop and Soul made her stand out and you can debate Houston videos appearing on MTV inspired other black American women to follow in her footsteps. She was someone who wanted to bring music to as many people as possible and she definitely helped bring about changes. Houston’s passion for music began when she started singing in church as a child. One can hear those Gospel elements in her voice and that spiritual aspect. She signed to Arista Records at the age of nineteen and her first two albums, Whitney Houston (1985) and Whitney (1987) reached number-one on the Billboard 200 in the U.S. Her debut album made a slow start in commercial terms but began to grow by the summer of 1985. Saving All My Love for You and Greatest Love of All are, perhaps, the two best-known tracks on the debut but the record as a whole is full of great moments. Although Whitney took fifty-five weeks to reach the top spot, it spent a long time on the charts and introduced the world to this rare talent. There was controversy when Houston missed out on a Grammy nomination in 1986. She was not named in the Best New Artist category and, given the fact her debut did so well, there was a bit of confusion. The disqualification was explained due to the fact Houston appeared on a Jermaine Jackson song and, as she had been heard then, she would not be considered ‘new’ on her debut album. That did ruffle feathers and there was no real excuse to deny Houston Grammy glory. It might have been this ignorance that spurred her to create a bigger and better album with Whitney. The 1987-released album exceeded expectations and took Houston to a new level. The album stayed at the top of the charts for eleven consecutive weeks and the fact Houston, by the time, had spent twenty-five weeks at the top (cumulatively) was a record. Whitney’s four singles, I Wanna Dance with Somebody (Who Loves Me), Didn’t We Almost Have It All; So Emotional and Where Do Broken Hearts Go were played all over the radio and each single peaked at number-one. Whitney Houston was breaking records all over the place – this was only her second album! By the time the 1988s Grammys came along, she was nominated for three awards and won the Best Pop Vocal Performance, Female for I Wanna Dance with Somebody (Who Loves Me). Although Whitney Houston’s second album gained huge commercial following and chart success, some critics were less passionate. “Predictably, ''Whitney'' is an album of love songs, and once again they honor pop formulas instead of shaping themselves to the singer's voice (unlike 1986's major black pop success, Anita Baker, whose material is utterly personalized). There's been a slight shift of image: Where ''Whitney Houston'' presented the singer as shy but irresistibly tempted by lust, she now acts more experienced and more physical about her affections. She even declares ''Love Is a Contact Sport.'' At the same time, she maintains her good-girl persona, sticking to songs about long-term, monogamous romance or about missing an absent lover. Putting across a pop love song, especially on recordings that will be heard repeatedly, a singer has to stay attentive to individual words and lines while building a dramatic shape for the song as a whole - caressing some words, stretching others, rushing or hesitating or lingering. 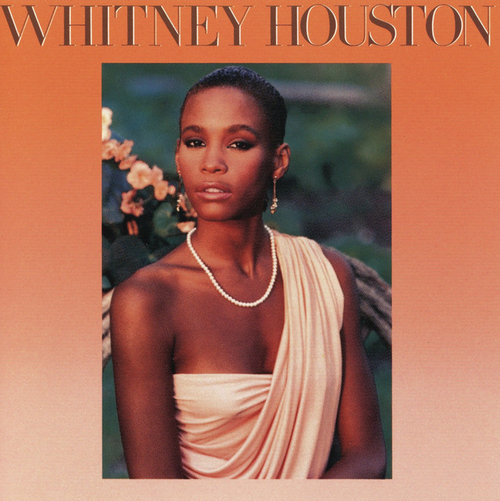 On ''Whitney,'' however, Ms. Houston's delivery makes her love songs curiously distanced”. 1990’s I’m Your Baby Tonight did not fare as well as her previous two albums but it did take her music in a new direction. This time, Houston was picking the material – rather than the label selecting songs – more and getting a bigger say. Working alongside producers like Babyface and Michael Masser, her third album was a different beast. There is less reliance on pure Pop and those who felt Houston did not evolve between her first two albums could have had few arguments here. There were fewer standout hits on I’m Your Baby Tonight but Houston was bringing in more Dance-driven music and Funk this time around. “Never before has Houston tried so many different sounds or tried so hard to be hip. It's one thing to work with Babyface, the standard-bearer of smooth soul in the '90s, but it's quite another to hire Wyclef Jean, Lauren Hill, Missy "Misdemeanor" Elliott, and Q-Tip -- all cutting-edge artists (albeit on the accessible side of the cutting edge), the kind who never would have been associated with Houston in the late '80s. The gambit works. There is still a fair share of David Foster-produced adult contemporary ballads, but the true news is on the up-tempo and mid-tempo dance numbers.. In fact, the songs that feel the stiffest are the big production numbers; tellingly, they're the songs that are the most reminiscent of old-school Houston. That's not to say she can no longer belt out ballads convincingly -- in fact, the best ballads are where she restrains herself, delivering them with considerable nuance. Houston has never been quite so subtle before, nor has she ever shown this desire to branch out musically. That alone would be reason enough to rank My Love Is Your Love among her more interesting albums, but the fact that it works more often than not pushes it into the top rank of her recorded work”. Houston would record three more studio albums (including a Christmas one) before her death but they did not match the brilliance of her 1998 gem – although there are fine moments to be heard on every album. Some felt 2002’s Just Whitney... was not as punchy and memorable as her previous albums and the songs were a way of diffusing rumours about her in the press. 2009’s I Look to You was seen as a return-to-form and won her some great reviews. It is clear that Houston had been through a lot since 2002. She told press she was getting used to being a single mother and riding the ups and downs. There is a lot of passion and determination on I Look to You and some great writers/producers help bring the best from Houston’s voice. It is clear Whitney Houston made a giant impact on music and, whether you like her music or prefer other artists, the legacy she has left behind is clear. Alongside Michael Jackson, Houston helped bring more black faces to MTV and she helped bring about a hybrid Pop sound – maybe not as radical as Madonna and Michael Jackson. Many claim Houston cannot be seen as an icon because she released fewer albums that many of her peers. The fact that her incredible voice was the central instrument meant it was important to get the material right. She also struggled with press intrusion and personal issues but was able to come back and create great material. WITH Whitney Houston in their blood.